A Better USA With These Three Government Apps? SPECIAL UPDATE: Catch MobileSmith’s Steve Brady At The Government Information Technology Executive Council (GITEC) Conference on April 27-28 in Baltimore, MD. Upon us is a perfect storm of app innovation, expected to redefine many aspects of everyday life, including how our very government operates. Improving government with app innovation is a broad area which spans a wide spectrum; from helping citizens navigate around large and complex government facilities, to mitigating healthcare insurance fraud. Government apps in today’s mobile world are more than just catchy publicity campaigns to parade an about-face to the bureaucratic stereotype. That perception need not persist with a Government 2.0, where trust and transparency are the guiding forces. Government apps possible today are functional and primed to transform the very systems which impact our daily lives. Government buildings are sprinkled all across the USA, well established as prominent and essential hubs in every local community: courthouses, post offices, museums, VA hospitals…the list could go on. Many of these government buildings might as well be mountains of mazes to those unfamiliar with their intricacies, leaving most visitors shuddering in confusion and frustration. Color-coded wall maps, and painted wall arrows are dismissed as outdated artifacts by an American public possessing a sharpened desire to interact with the hyper-connected world around them via smart mobile devices. Wayfinding apps are becoming commonplace in hospitals and other enterprise locations requiring physical navigation, so expect government to announce their own wayfinding apps for easy navigation of various facilities. Wayfinding app innovation is especially exciting when we consider how affordable and easy it is to install. This is a huge area that affects everything from training manuals for armed services to brochures at museums. We all expect the government to be greener and more efficient, simultaneously saving the environment and tax dollars. There have already been efforts, like the Paperwork Elimination Act, that establish a spring board for officials to embrace further innovation. Government apps could make it possible to scrap the mounds of paper that sprint daily to stratospheric heights, leaving miles and miles of waste. The best part is that information apps are a step above making information digital, they can be interactive and quickly updated for mass consumption. As government becomes more involved in providing health insurance for Americans, the medical billing involved and ensuing issues with preventing fraud will become more challenging. Healthcare apps can be used to monitor healthcare providers and verify that they attend to their patients when, where, and the way they should. Even home care can be monitored, with apps smart enough to know whether a nurse actually came into a bedroom to care for a patient or tried to fool the system by just parking by the house, eating a couple of cheeseburgers, and speeding off to get a massage. Healthcare billing fraud is rampant, so putting technology in place to discourage this criminal behavior will strengthen a system severely weakened by previous missteps. Apps similar to the ones mentioned above have been already built by customers using the MobileSmith platform. 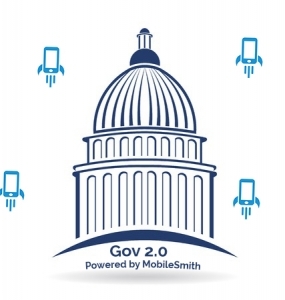 Schedule a demo to learn how easy it is to build useful government apps on the MobileSmith Platform just like the ones we discussed in this article.